entweder oder. sowohl als auch. dazwischen. The "entweder oder. sowohl als auch. 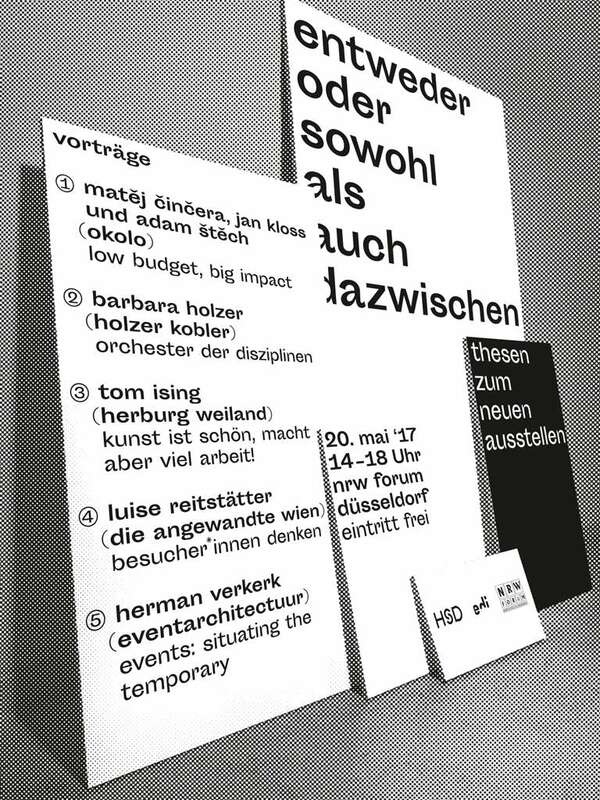 dazwischen.” symposium offers a backstage glimpse into the current exhibiting scene. This is an invitation from the edi – Exhibition Design Institute of the Düsseldorf University of Applied Sciences - together with the NRW Forum, to a discussion about the status quo in exhibiting, with contributions from curators, architects, designers and academics. Saturday, 20.5.17, 2 – 6 pm.